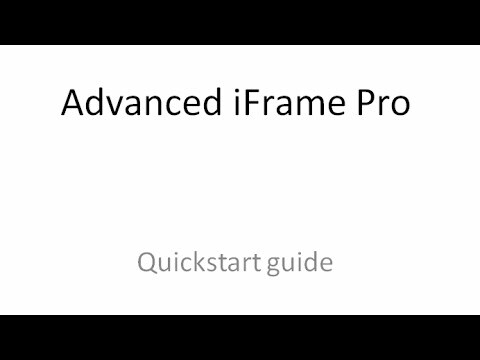 Here you find the video tutorials for advanced iframe pro. Please not that many of the tutorials also apply for the free version. More are on the way. Please contact me directly. I have made a couple of videos and took them down again because they never fit the requirements of my users. Look at the demos to find the setup you like to have. If it does not work: Please contact me. Integrating 2 completely different sites is always different and not easy! Asking me is free ;). Lets find together the best solution for you.